Unique Holiday Gifts That Will Make You Sing! 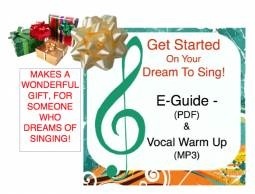 Unique Holiday Gifts For Those Who Dream Of Singing! Here are two unique holiday gifts that are sure to get YOU or someone you love - singing. 1. Get Started On Your Dream To Sing! 2. Special Holiday Trio Package of Online Lessons! I can’t tell you the number of times that audience members (both men and women), have come to me after a concert to tell me that “secretly” they have always wanted to sing. 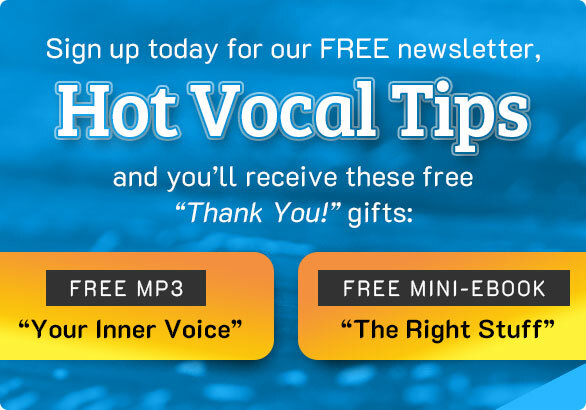 And here is one of those unique holiday gifts that I know you will find valuable if you have always wanted to sing and you need a little boost. 2. Take you by the hand (so to speak) as you begin your first singing exercises and then sing through an easy, but beautiful song. This is nothing scary about this process! First you read about the whys and hows of singing... I make suggestions about how to get started without fear or embarrassment. And then in the comfort of your own home, you sing along with a wonderful melodious song! As far as unique holidays gifts go, Get Started On Your Dream, is an unusual kind of offering to give to a friend or family member. It is inexpensive, but very meaningful, as it sends a person down a new road that can lead to great joy and musical pleasure! If you would like to add an extra boost to your gift - consider my special holiday package of 3 half-hour lessons: Special Trio Package. The recipient of this unique gift will be in touch with me at his/her leisure to set up a time for the first video lesson. TWO UNIQUE HOLIDAY GIFTS THAT ARE SURE TO GET YOUR LOVED ONE SINGING!